Happy Black Friday Greenies! If you are anything like me, Black Friday is usually about the time that you start my Christmas shopping. Now don't get me wrong, I don't go standing outside in the cold for great deals, but I do cozy up to my laptop and get my creative juices flowing to decide what to get for my loved ones while I do a little online shopping. Now before you start your holiday shopping, I thought it might be fun to share some of my favorite "green" gifts. You can use this list to help you decide what to give you friends and family who are interested in going a little greener this year, or maybe you can use it to get ideas of what you would like others to buy you (that's how I usually use gift lists like this!). To make it easier, I've broken them down by price, starting with the cheapest ones that would make great stocking stuffers, all the way up some big-mega-green Christmas presents that are the most expensive. 1. Tongue Scraper. My favorite is Dr. Tung's Stainless Steel Tongue Scraper $5 on Amazon.com. This something I do every morning right when I wake up to help clean the bacteria, toxins, and other stinkines off my tongue. It's quick, easy and can even help you taste your food better. 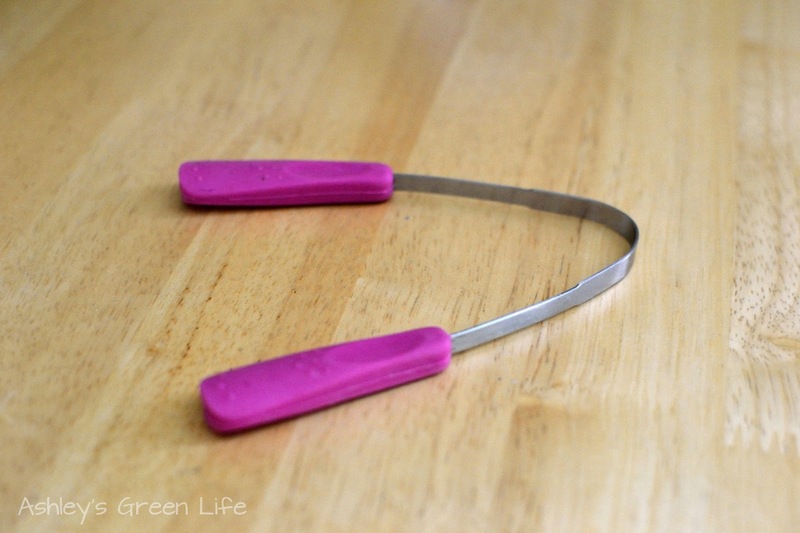 You can read more about it in my post: How & Why To Do Tongue Scraping. 2. 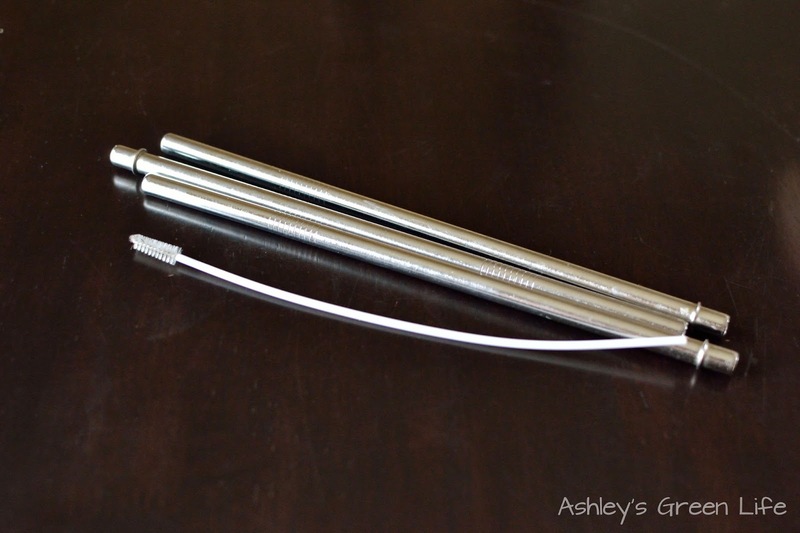 Stainless Steel Straws. Looking to trade out plastic straws for a more sustainable option? Stainless steel straws are a great alternative. I've tried my hand with glass straws in the past and all I do is break them, so these are my new go-to. Looks like Amazon doesn't have the orginal straws I have pictured here, but here's another brand that looks great, Eco at Heart Smoothie Straws 5 pk with Cleaning Brush $11 on Amazon. Be sure to get them with the cleaning brush (most sets come with this) so that you can clean the insides of them from time to time. You don't want to be drinking up chunks of old smoothie that sometimes get stuck in there...so that's where the brush comes in. 3. Dry Skin Brush. So this is a daily habit that I started years ago and that I love. Dry skin brushing is where you take a brush like the one listed below and you "brush" your skin all over your body (while it's dry...not during the shower). Some benefits that come from dry skin brushing include, increased exfoliation and circulation, as well detoxification because it helps stimulate the lymphatic system. You can find them at health food stores or online, here's one on Amazon, Yerba Prima Tampico Skin Brush $7. 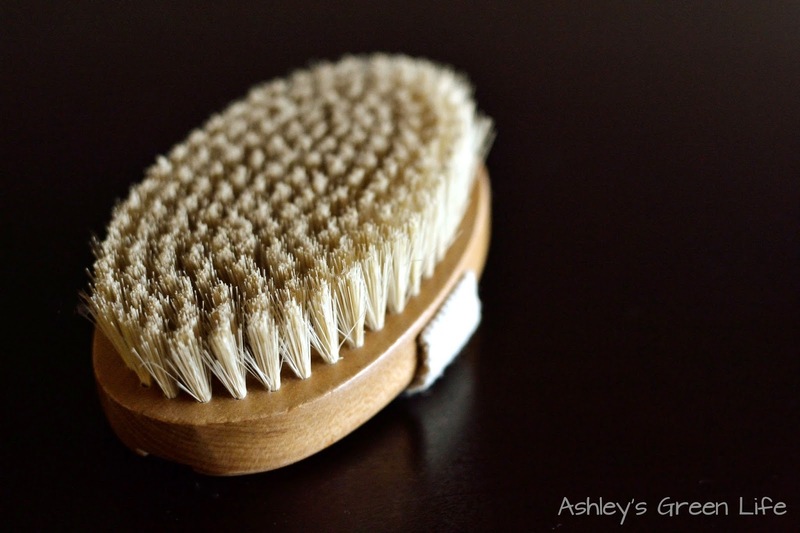 Read more about my dry skin brushing routine here: "Dry Skin Brushing: What is it & How to do it". 4. Dryer Balls. These are a fun gift that can last the recipient for years. 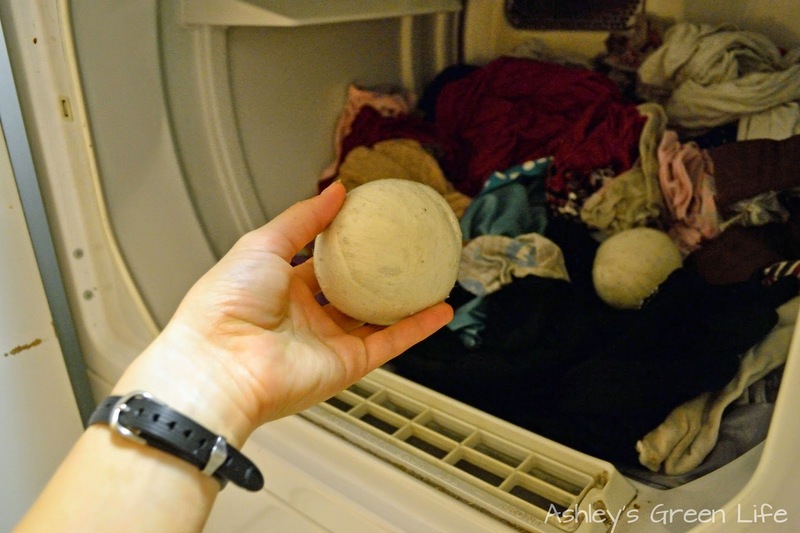 Dryer balls are wool balls that you toss into your dryer when drying clothes and they take the place of dryer sheets. They help reduce drying time, soften clothes without the use of chemicals, and can save you money since you don't have buy dryer sheets...ever again! I use this brand: Everyday Willow Wool Dryer Balls Set of 3 $15 on Amazon. 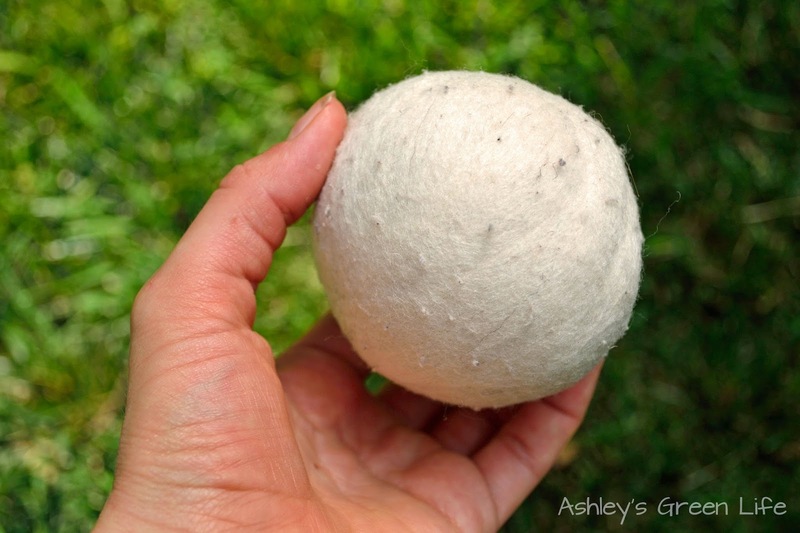 Read more about how I use wool dryer balls in this post: "Goodbye Dryer Sheets"
5. Set of cloth napkins. One of my go-to green gifts over the years have been cloth napkins. In my quest to go green these are one of the first purchases I made to help me move from disposable (paper towels) to reusable (cloth napkins). They can be personalized by color, fabric and pattern so the possibilities are endless. If you know how to sew, you could make them on your own with some cotton flannel fabric, but I tend to rely on others to help make these for me. I like this set of 20 Cloth Reusable Napkins from the seller MooCowMomma on Etsy for $25. 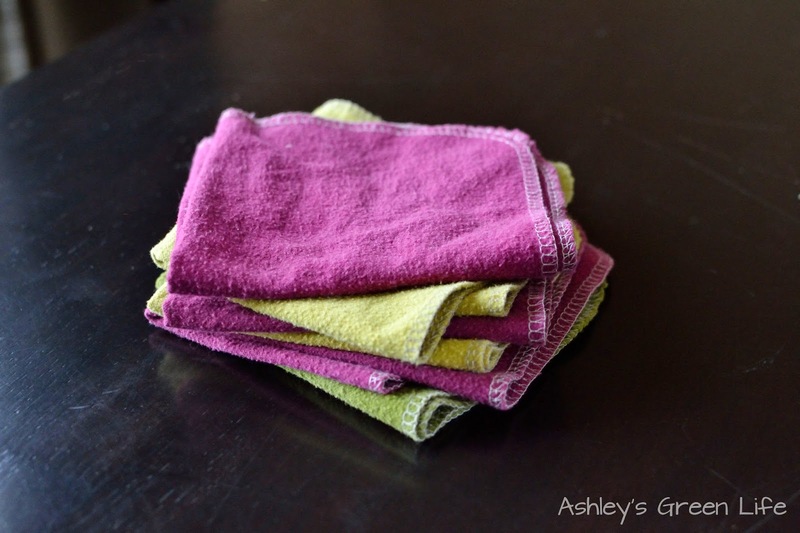 (pictured below) Read more about how I use cloth, clean, and store my napkins in this post: "How to Use, Clean, and Store Cloth Napkins"
6. 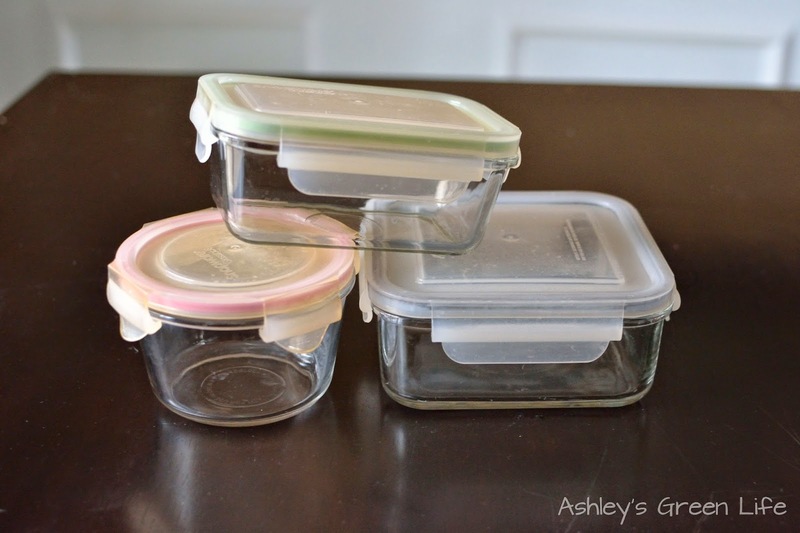 Set of glass food containers. As you can tell, I'm all about things that the receiver of these green gifts can easily swap out and use in place of the non-green items they used before and a set of class "Tupperware" containers is a great way to do just that. Years ago I used to use plastic containers to heat up and store my leftovers. Some were faded, warped, and cloudy in color, but they still worked to store and heat up my food so I didn't think anything of it. Flash forward a few years in my green journey and I learned about the toxins lurking in plastic food containers like BPA, phtlates, and other toxins that are released when exposed to extreme temperatures...you can bet I was chucking all my plastic containers within minutes. My replacement was a set of glass containers. Here's a similar set: 18pc. set on Amazon, Glasslock Assorted Glass Containers for $35. I find it's helpful to have various sizes, so I can use the big ones for leftovers and my girls can use the smaller ones. Side note: I also ditched my microwave too, so find out more about how I heat up my food without it in this post: "How to Brake Up with Your Microwave." 7. Essential oil diffuser. Looking for a green alternative to candles, air sprays, or Glade Plug-Ins? 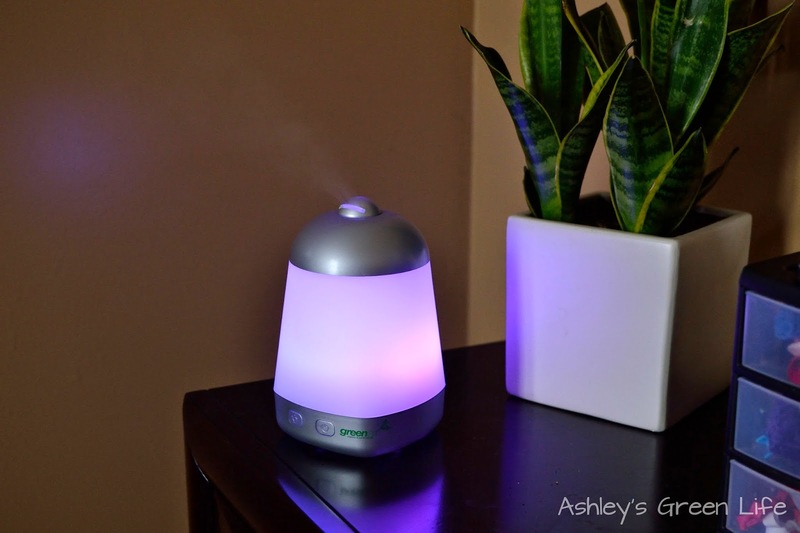 This essential oil diffuser is a great option. What you do is put water and several drops of essential oil into the diffuser, plug it in and the oils will mix with the water and create a fine mist in the air. This is a great way to scent the air naturally. 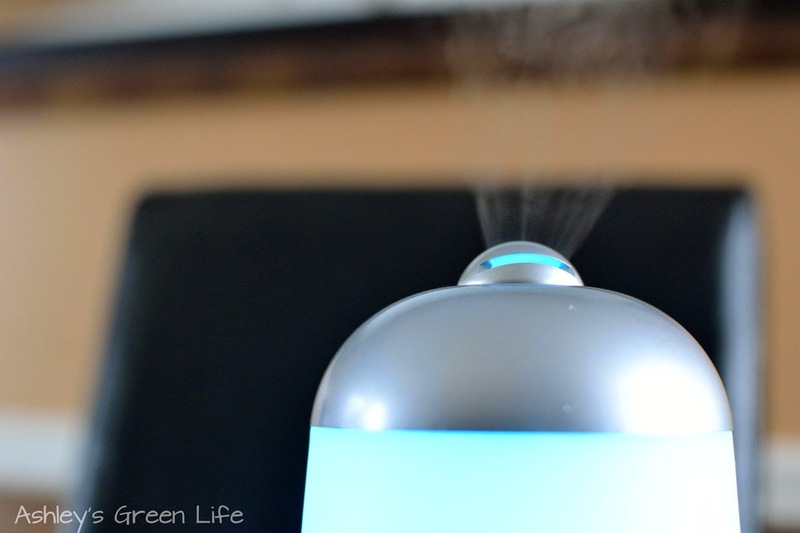 I use this Greenair Spa Vapor Diffuser for $35 on Amazon. 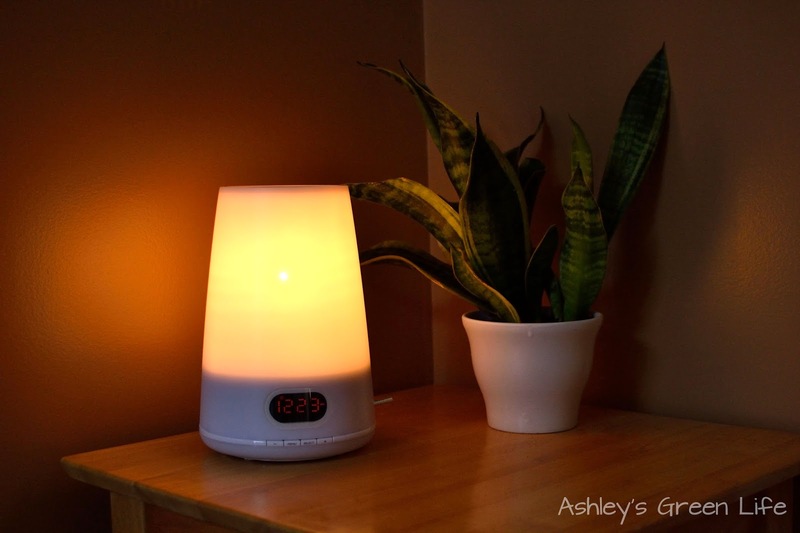 Read more about how to use this diffuser and my favorite essential oils to diffuse with it here: "How to Diffuse Essential Oils"
8. Squatty Potty. Okay so you're going to want to really love the person you are giving this to otherwise they might think you're kind of strange! A Squatty Potty is a stool that slides under your toilet and when you have to go to the bathroom (for a bowel movement) you pull it out and put your feet on it to give you more of an elevated knee positioning, which has been found to be helpful in having more complete bowel movements with ease. Other benefits that come from using the Squatty Potty include, decrease in constipation, reduction of hemorrhoids, and strengthening of the pelvic floor. I use this 9 inch Squatty Potty Ecco Toilet Stool for $25 on Amazon. 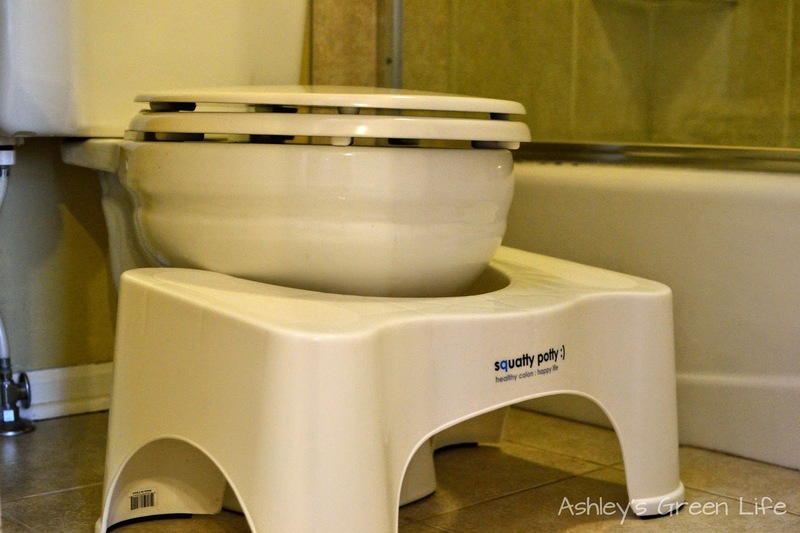 Read more about how to use the squatty potty in my post: "Squatting on the Potty for a Healthy Body". 9. Shower Filter. One area that I feel is neglected in the "green world" in shower water filtration. I know, such an exciting topic, right? But when using a shower filter you are able filter out chlorine, toxins, chemicals and bacteria that are hiding in your water. As a result you will notice softer hair and skin, and you may even breathe better since you don't have to breathe in the chlorine in steam form (as it is present in unfiltered shower water vapor). I use this Showerwise Deluxe Shower Filter for $59 on Amazon. 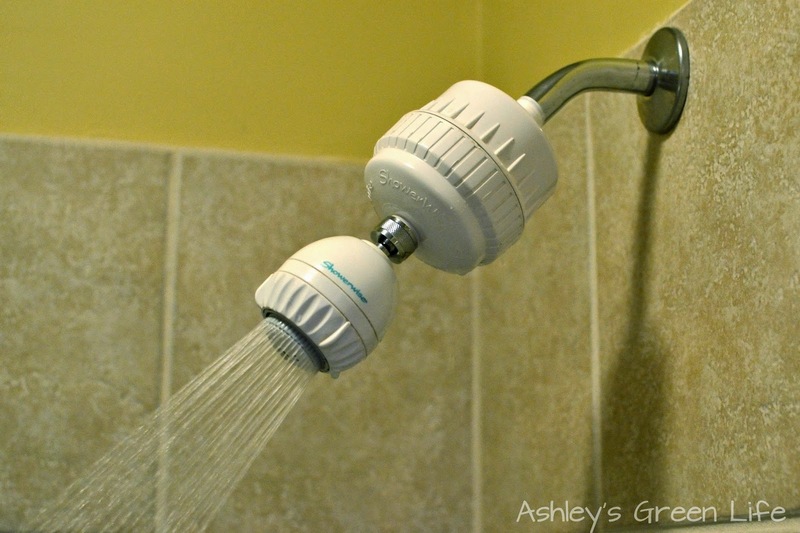 Read more in my post, "Filter Your Shower Water to Reduce Toxins" Again this would be an easy thing for the receiver to install and use daily without much effort at all on their part. In case you're wondering, the filter needs to be replaced once a year. 10. Spoonk Accupressure Mat. This is another "crazy green gift" which is basically a mat with a variety of spikes on it and you lay on it (kind of like a "bed of nails" you could say). Despite seeming uncomfortable, it actually can be very relaxing. The Spoonk mat works by having the little spikes bring circulation and relaxation to the area where it's applied. You can find this on Amazon for $59, Spoonk Accupressure Mat and Travel Pillow. Read more in my post, "How to Spoonk for Better Health". 11. Vitamix - Okay so this is a stretch, but my last gift recommendation is a Vitamix blender. I've had mine for 5-6 years now and I truly think it was one of those green purchases that has made a huge difference in my health and in the way I eat. As you can tell below, mine is not the shiny model it once was when I got it, but it still works great and I use it daily, sometimes twice a day even. 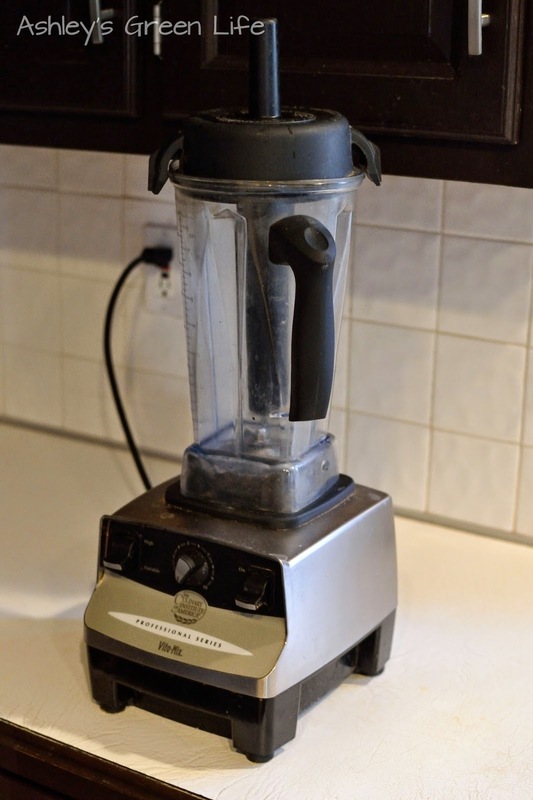 Most Vitamix's come with a 7 year warranty, and I've used that warranty twice and the Vitamix company has always come through and sent me the part I need or repaired my machine. One more reason why I love it. I have the most basic model like this one: 5200 Getting Started Blender for $449 , which is great if you're just starting out (or if you are a veteran blending fan too). Sometimes at Christmas you can get several people to go in on a present for you (grandparents, parents, spouse, etc.) and this would be a great thing to put their money towards. So if you are willing to make the investment, this blender won't disappoint! Neti pot: Clean your nasal passages with this awesome tool that you fill with warm water and a salt solution. 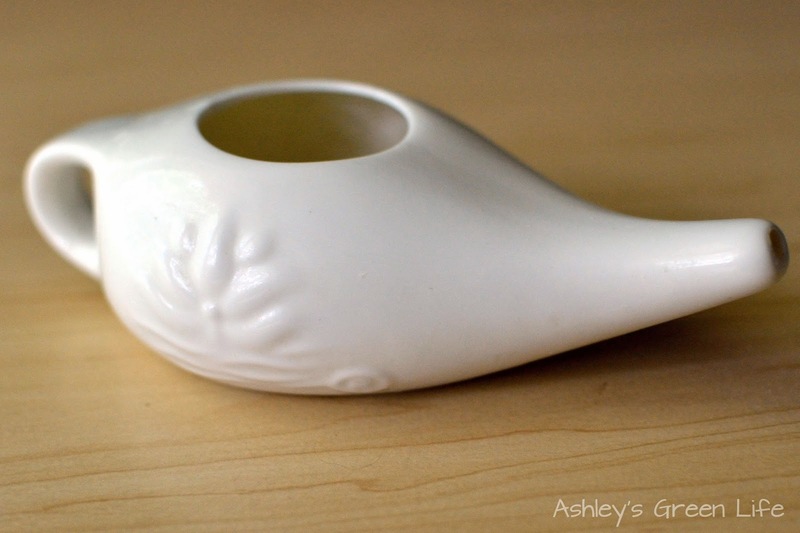 Read more here at "How to Use a Neti Pot". Here's the one I use on Amazon for $13. 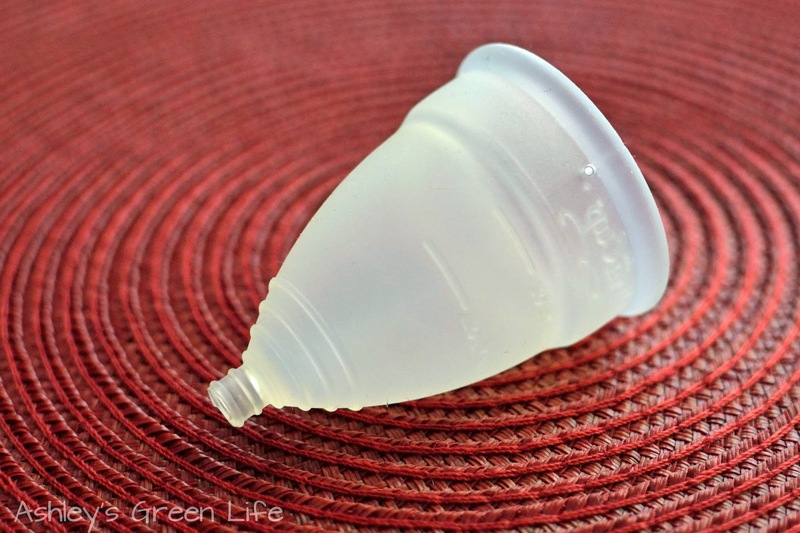 Diva Cup: Here's another "probably TMI gift" but it can help the recipent switch from disposable period products to a reusable option with this Diva Cup. This works similar to a tampon in how it collects your flow, and then it is emptied. Read more here in "How to Green Your Period." You can find a Diva Cup here on Amazon for $28. 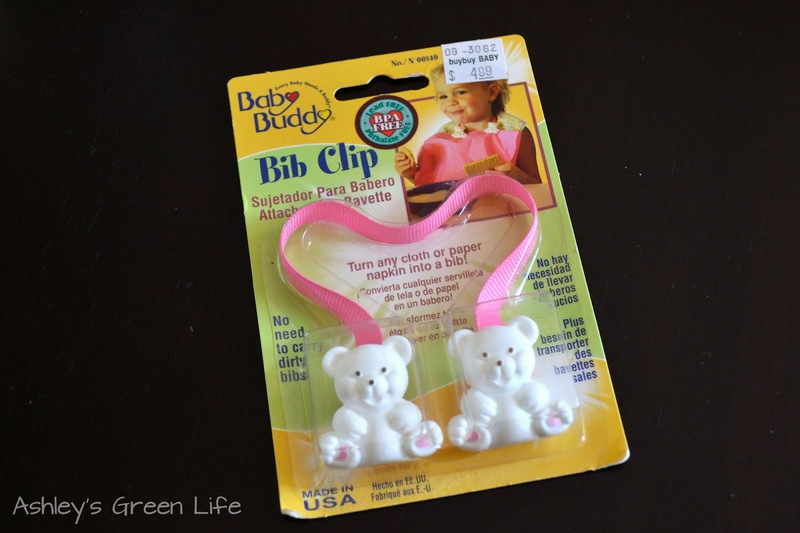 Bib Clips: This is a great one for anyone with babies or toddlers. It's a set of clips that can turn any cloth napkin into a bib for your child to use and then wash. No plastic baby bibs needed. Read more about how we use the bib clips in this post: "A Green Alternative to Baby Bibs" and you can find them on Amazon for $5! 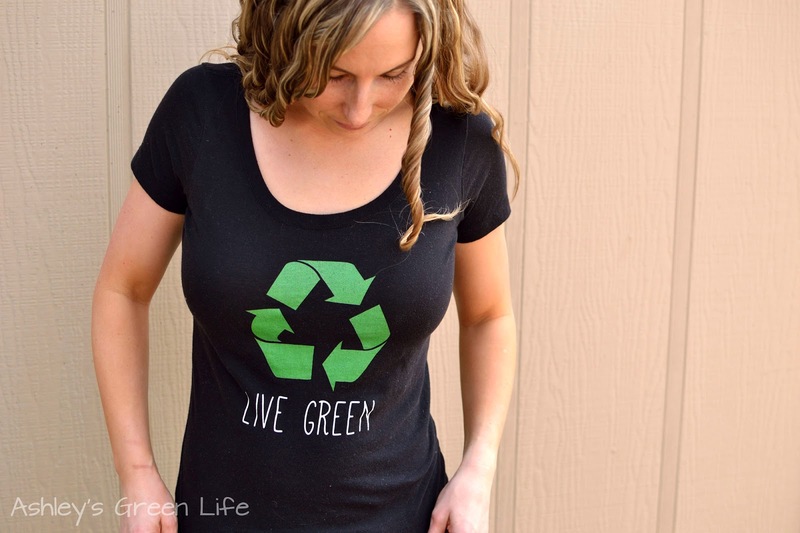 Green T-Shirts: Christmas is always one of my favorite times to stock up on "green t-shirts" that promote the green lifestyle I'm taking steps towards living. Here's a link to my Spreadshirt shop where you can find various eco-friendly, vegan, green lifestyle shirts I've designed for everyone in the whole family. Best of all you can personalize them to any color you want and style as well. So there you have it my favorite "green" holiday gifts for 2014! Do you have any favorites to add to the list? Or which one do you think your loved ones or you would like the most? Share below.